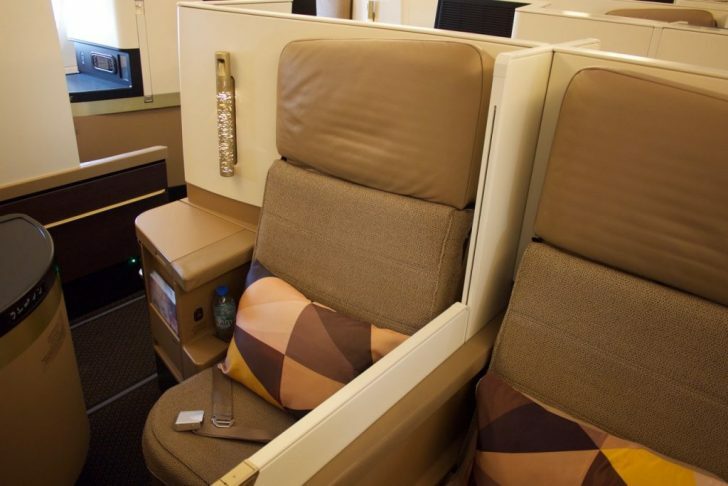 Singapore Airlines has unveiled its long-awaited upgrade to the four cabins on its ageing A380 aircraft. 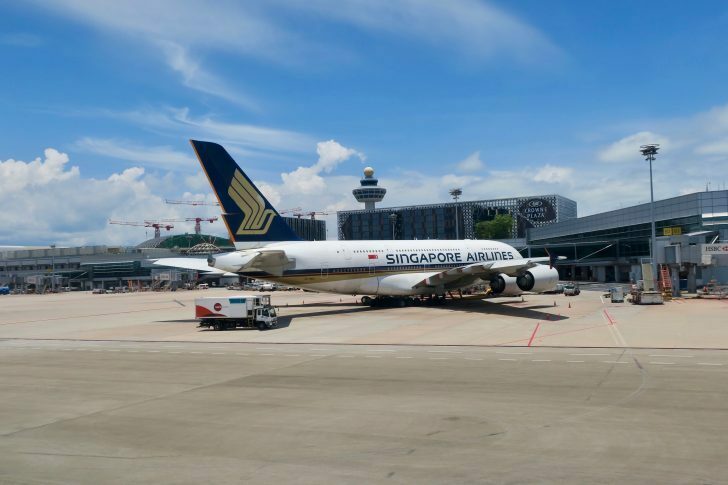 As the launch customer of the Airbus A380, Singapore Airlines was one of the first airlines to introduce direct-aisle access Business Class seats and closed-door Suites in First Class. 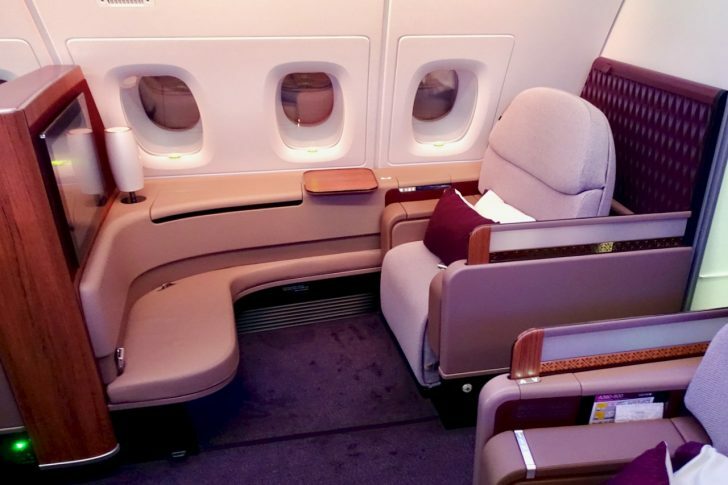 As part of a trip to Italy earlier this year I chose to use my Qantas Points for Qatar Airways excellent flagship First Class between Sydney and Doha, connecting to a Business Class flight to Venice. To Australia, Qatar only fly their A380 to Sydney for now, with Melbourne being upgraded from June. 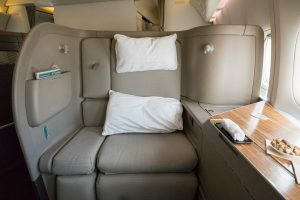 You’ll find there is regular redemption availability in First Class, although less often in Business – so if you have enough points (at least 144,000 Qantas Points one way) it makes a great use of your Qantas Frequent Flyer balance. Of course, Qatar now fly direct from Auckland too, however on their Boeing 777-200 which does not have First Class. So if you want to trial their First Class product, you’ll need to head across the ditch first. 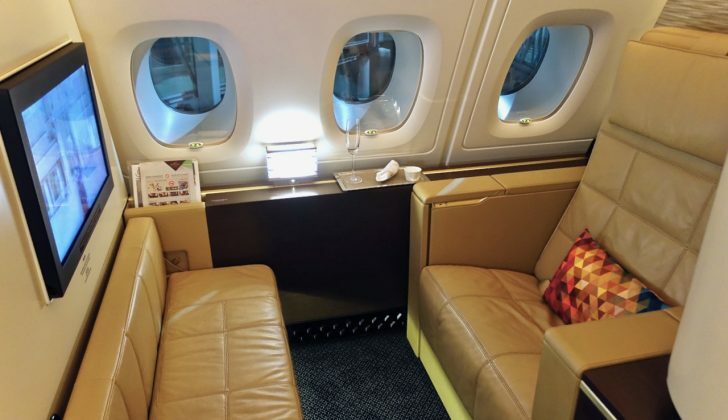 I had the chance to sample Etihad’s unique First Class cabin in one of their small fleet of Airbus A380’s late last year – and it blew me away. 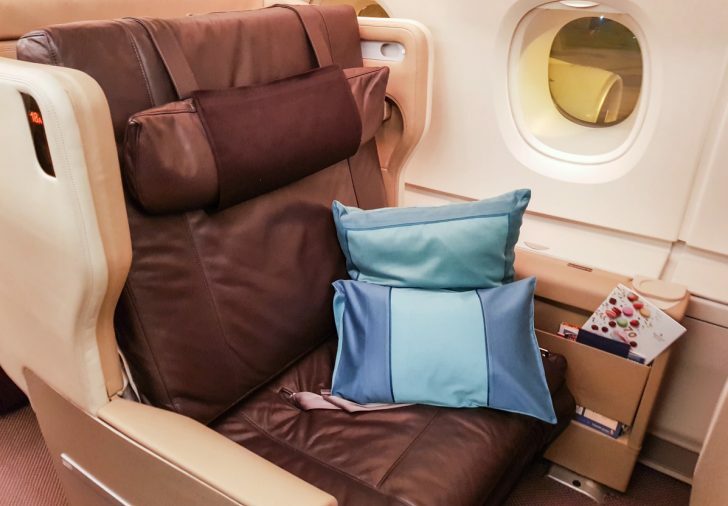 Travelling in Premium Economy, Business or First Class for me is all about the seat – as a tall guy with long legs, I really value the space and comfort, much more so than food, wine or champagne. Etihad First Class Apartments really delivered. It’s unlike any other seat or cabin I’ve experienced, and we’re fortunate to have two cities in Australia receiving daily service – and the ability for those with larger Velocity balances to redeem their points for it. 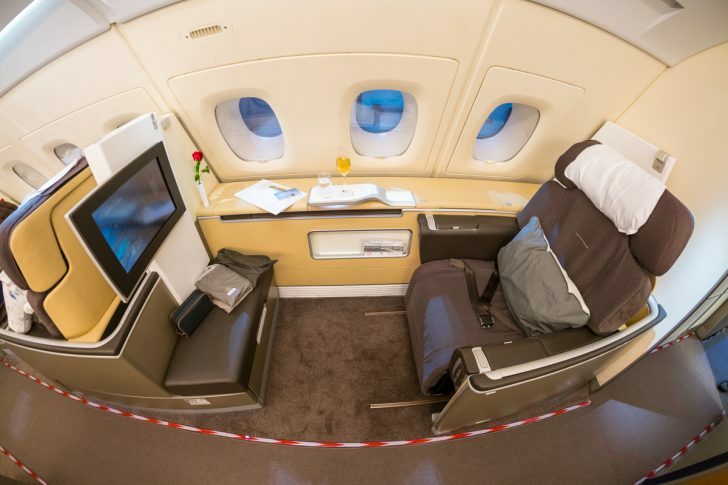 Etihad has a small fleet of 8 Airbus A380s, with 2 more on the way. Right now, they operate them between Melbourne & Sydney to Abu Dhabi, and then beyond to London, New York, Mumbai (until 30 June 2017) and Paris (seasonal service from 1 July to 28 October 2017). 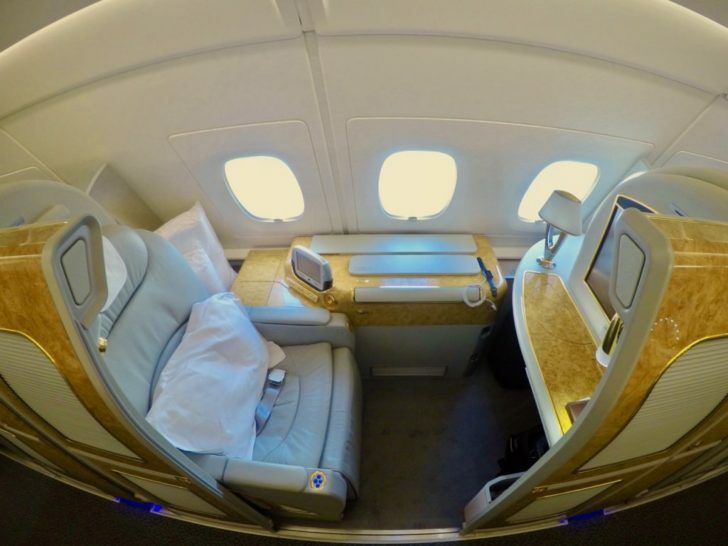 I used Velocity Points earlier this year to travel between London and Sydney and it was one the best Business Class flights I’ve experienced. 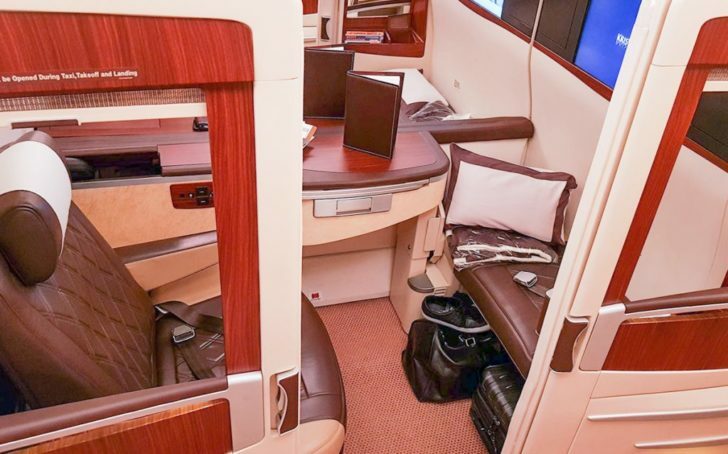 Amongst frequent flyers between Australia and New Zealand it’s well known that Emirates A380 flights are the ones to aim for if you’re looking for comfort, service and amenities, whilst earning or redeeming Qantas Points. 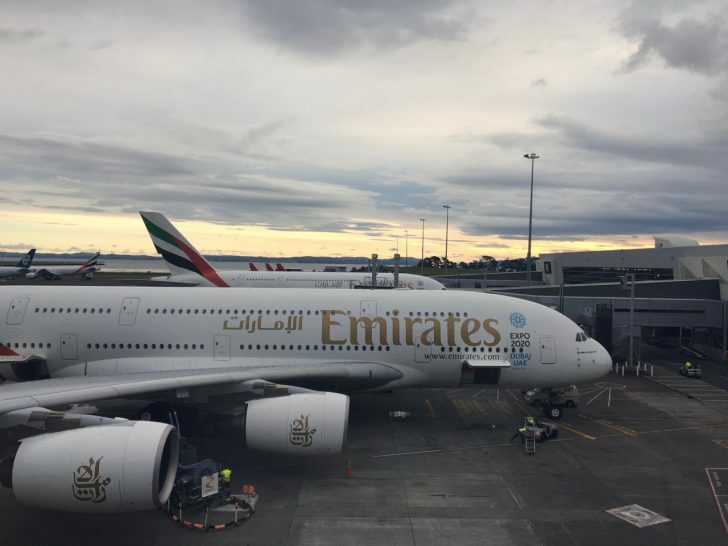 With Emirates now upgrading all of their flights between the two countries to Airbus A380s, their appeal to those using Qantas Points remains. 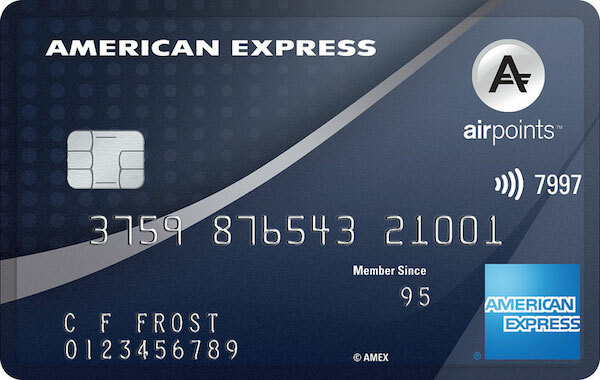 For the same 36,000 Qantas Points as you’d pay to sit in Business Class on a small Qantas 737, instead you can enjoy lie-flat comfort and the infamous onboard bar – this is one of the funnest uses of a smaller Qantas Point balance out there, in my book.